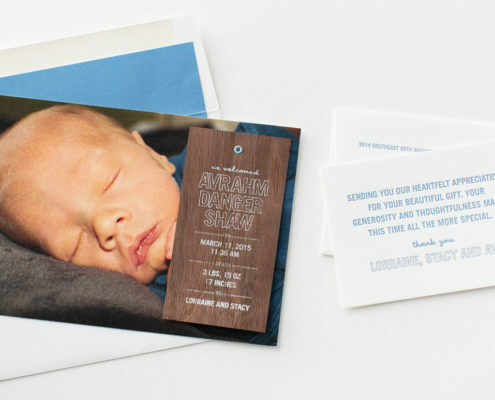 This month we are sharing two of our recent favorites created with retailer The Write Invite in Dallas, Texas. 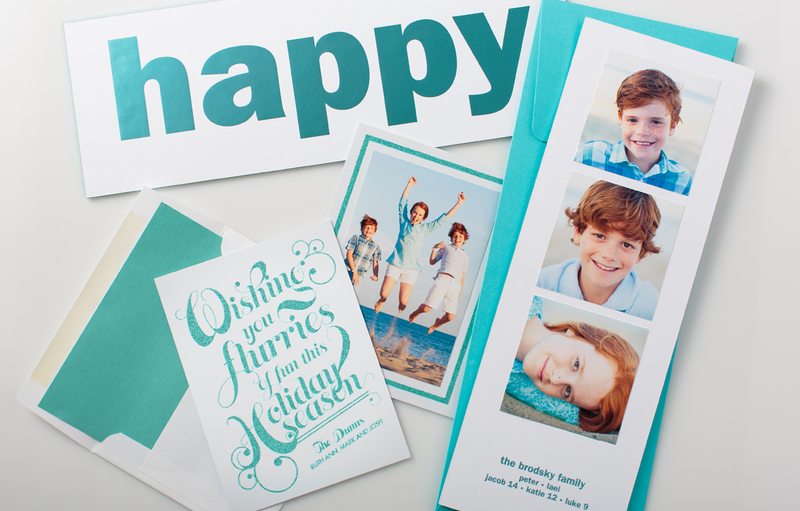 We are loving this “happy” photo card. 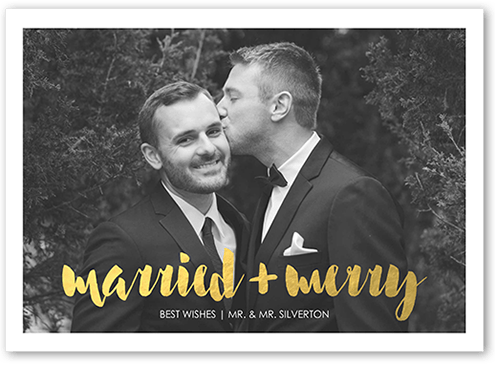 Designed for a very special family, it is an oversized thick board with a modern “happy” foil stamped across the front side, and three photos and family names on the back. 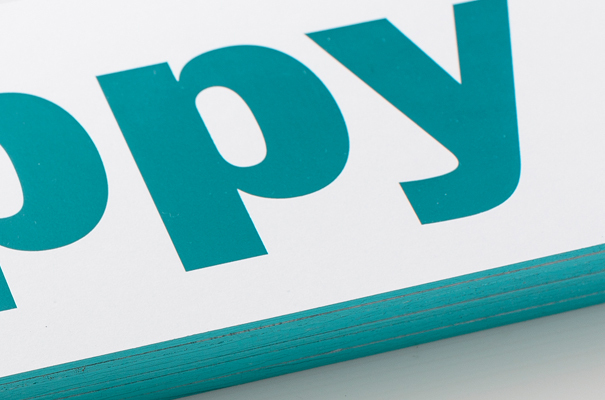 Matching aqua foil edges complete the look. 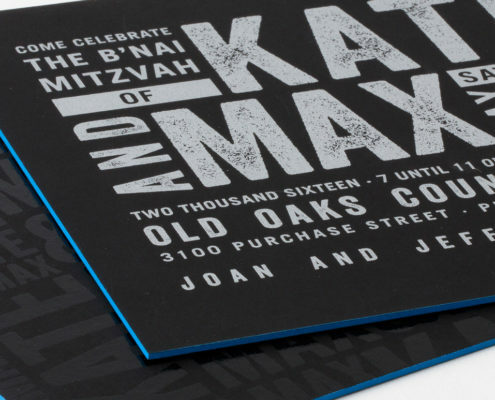 You cannot help but feel happy as you pull it out of a large, 5″ x 13″ aqua blue envelope. 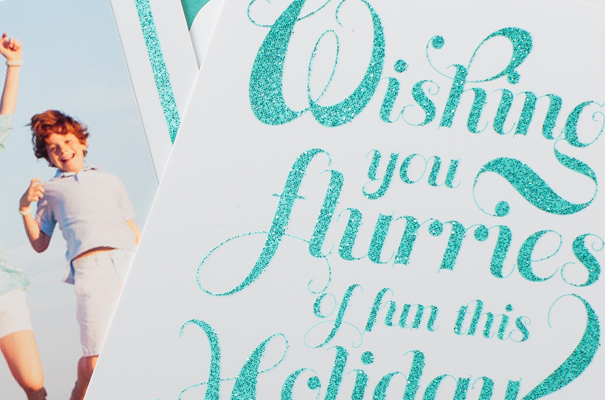 Our second card is a white flexible, plastic card with a sweet message, “Wishing you flurries of fun this Holiday Season” printed in aqua blue glitter. We really wanted the design to feel festive for the holidays, so we added extra swirls to a beautiful script greeting. A photo was mounted to the back with a glitter border for some added glitz. Two great ways to send lots of happy vibes to friends and family! Which one is your favorite?